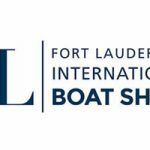 Our non-commissioned sales team recently concluded the 2017 winter boat show series after five events over a ten-week period ranging from Stuart to Key Largo in Florida. The season commenced with the well-attended local Stuart Boat Show where we displayed a 2009 Fleming 55. The show location was just down the St. Lucie River from our new marina, which will be fully operational for the Fall 2017 season. We then continued to the Yachts Miami Beach show along Collins Avenue where we displayed a 2013 Fleming 55 and our first brokerage Fleming 58. The show proved to be an excellent exhibit for Burr Yacht Sales and Fleming Yachts. The following week we repositioned the Fleming 58 to Key Largo, where in conjunction with a 2013 Fleming 65, we hosted a lovely cocktail party at the Ocean Reef Yacht Club. As the sun set with the Flemings in the foreground, nearly 200 attendees joined including former, current, and future customers. It was a fantastic opportunity for many to wander through the vessels comparing and contrasting the models, particularly the newly designed Fleming 58 with the standup engine room, higher cruise speed, sophisticated Boning yacht management system, and option for a mid-ship master. 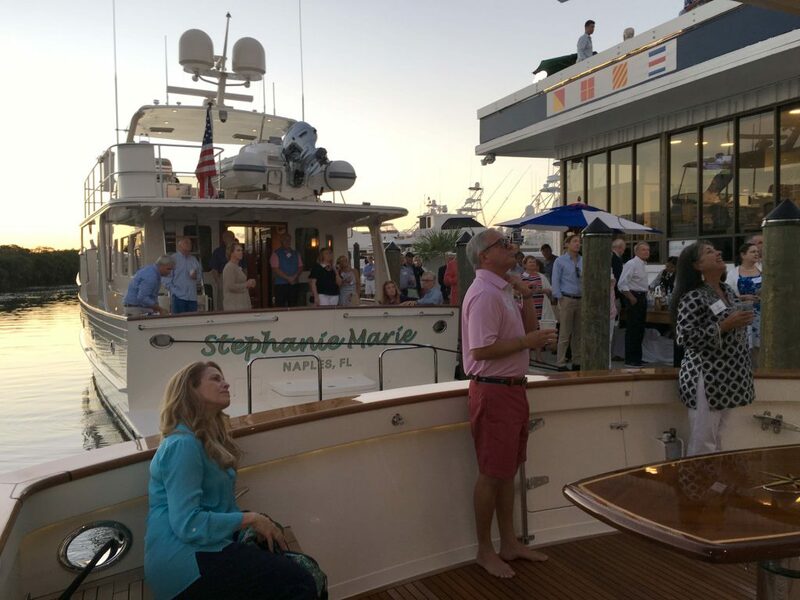 We then moved back north, up to Hutchinson Island for the Stuart Trawlerfest, one of Passagemakers well known events that combines in and out of water exhibits along with a series of seminars offered by well-respected industry experts. 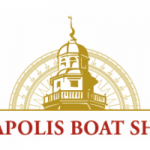 Year after year these events have successfully attracted boaters who are serious about cruising and allow the opportunity to spend adequate time among the better-known cruising vessels in a relatively intimate setting. Last but not least, we moved a stunning 2015 Fleming 65, that recently came to market, into the West Palm Beach Show. Considered a favorite show for many due to its reasonable size and proximity to West Palm shops and restaurants, this show did not disappoint and was deemed a true success. With the winter show series behind us, we are now busy following-up, surveying, and training customers with their newly acquired Flemings. 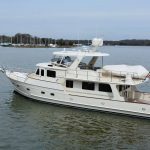 As the weather starts breaking in Maryland, we have been busy preparing the fleet that stayed with us over this past winter and gearing up for the arrival of our northbound Flemings who layover in the Chesapeake for spring work-list items and to take advantage of our local cruising grounds. Additionally, our service team has been hard at work commissioning new Flemings and currently have a 65 and two 78s in process, with a new 58 and 55 in transit from the factory in Taiwan. Be on the lookout for outfitting progress pictures along with retrofit project updates in the near future! Attendees of the Fleming Cocktail Party at Ocean Reef Yacht Club give their attention to a speech delivered by AJ Longmaid from BYS.